An effective preventive maintenance program (EPM) should enhance safety and reduce equipment failure. With a comprehensive electrical preventive maintenance program - two conditions loose connection and moisture which account for almost half of all electrical losses can be corrected immediately. 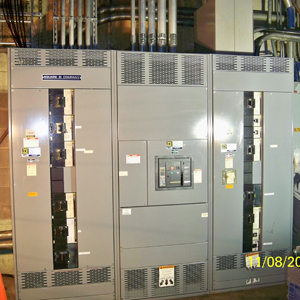 First, A great deal can go wrong if an electrical distribution system is not adequately maintained. As electrical loads cycle between high and low demand, thermal expansion and contraction cause connections to loosen. A thermographic infrared inspection of the equipment will indicate failing components and loose connections that can be detected while operating and then fixed during a scheduled shutdown. Second, electrical panels that are never cleaned accumulate dust and dirt that deposit on these connections. The loose and dirty connections provide a high resistance path that are directly responsible for more than 30 percent of electrical failures. Another 17 percent of electrical failures are attributed to live electrical components being exposed to moisture. During a gear cleaning process the debris can be eliminated and any presence of moisture can be found. 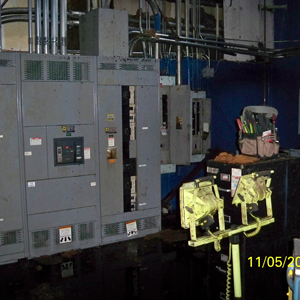 Third, have all circuit breakers and disconnect switches repeatedly opened and closed during the shut-down period to ensure proper operation. Fourth, inspection your electrical components from your power factor correction units to surge. Ultimately, concise and complete record keeping should be kept. Cooper Electric's thermographic inspections and detailed reports are a great Electrical Preventative Maintenance Program.